Many cultures have named the monthly full moon to help them keep track of the seasons. 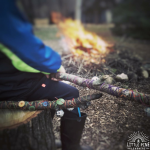 Teaching children these names is a great way to help them learn the unique qualities of each season and get them in touch with this special rhythm of nature. The Flower Moon is the name given to May’s full moon by the Native Americans. 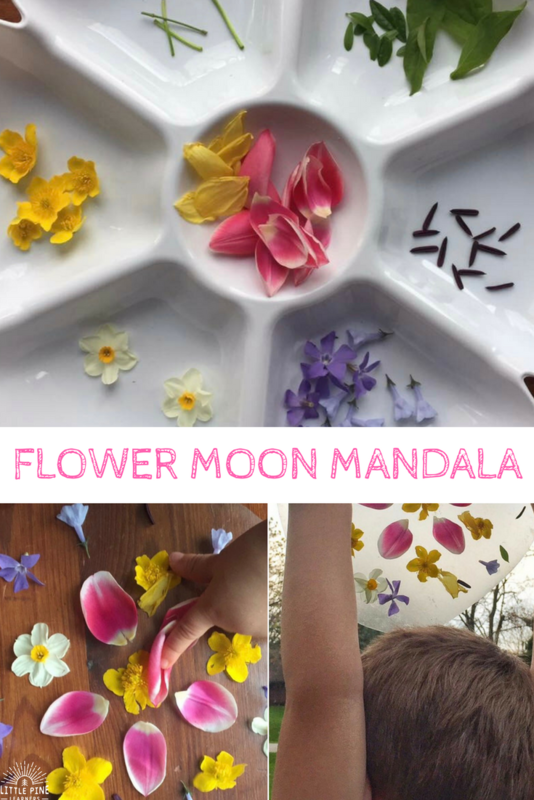 I’ve come up with four hands-on activities to help your child associate May with the beautiful time of year that welcomes spring flowers. We love sensory activities in this house! 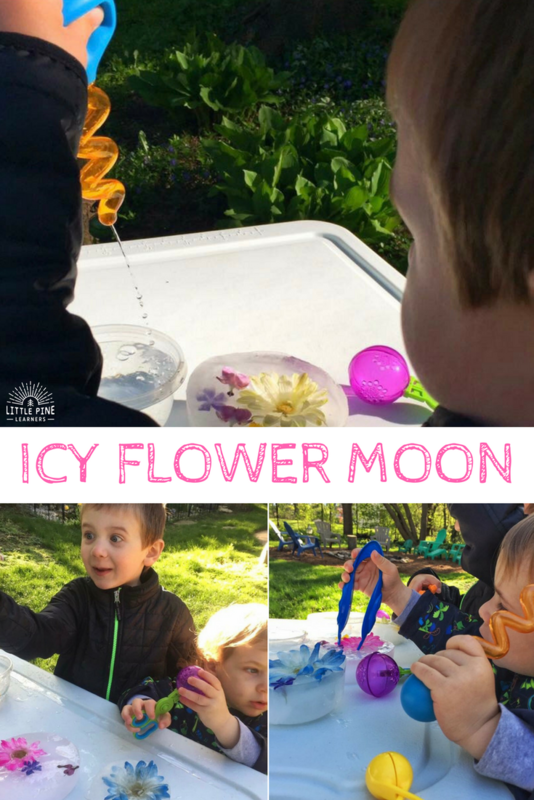 I thought it would be fun to freeze water and flowers in round containers and let the boys explore with our little icy flower moons. 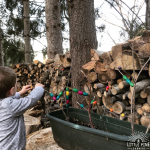 I set out the “moons” and our fine motor skills tool set on our outdoor table and let the boys try to free the flowers from the hunks of ice. The boys used warm water and water droppers to melt the ice. They loved using the tweezers to pick out the flower pieces as the ice melted. The boys got really excited when they finally freed the flowers! We started this activity by going for a nature walk around our yard to collect flowers. We searched for flowers of different colors and sizes and brought them inside to cut the stems and pick off the petals. I let the boys sort the flower pieces into a sectioned bowl. Next I cut contact paper into a circle and started the mandala for the boys to show them how to stick the flowers on the paper. The boys quickly joined in and loved arranging the flower pieces in different ways on the contact paper. We decided to take our flower moon mandala outside to see what it looked like if we lined it up with the moon. We could barely see the moon through the contact paper, but imagined what it would look like with the flower mandala design on it. 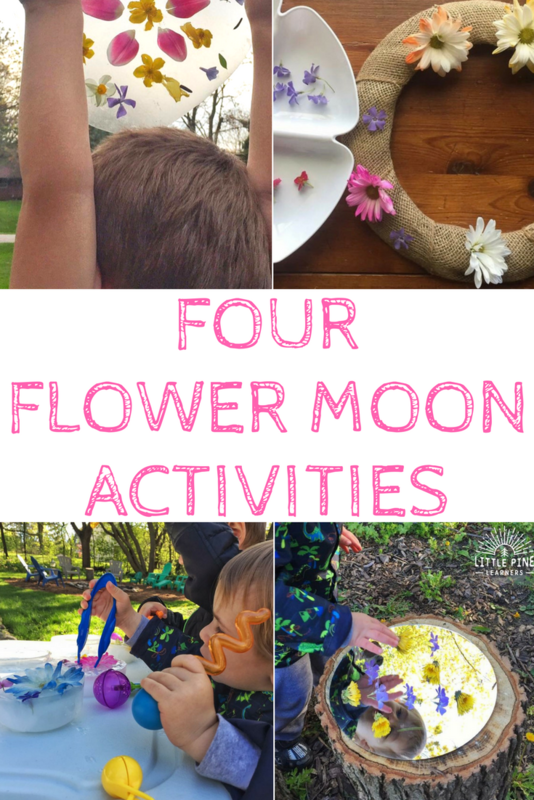 The previous activity got me thinking it would be fun to make flower craters on the moon! We collected dandelions and wild violets from our yard and headed over to our forest of tree stump games. We have a circle shaped mirror that we used to reflect the moon. The moon happened to be large that night and looked really neat in the mirror. 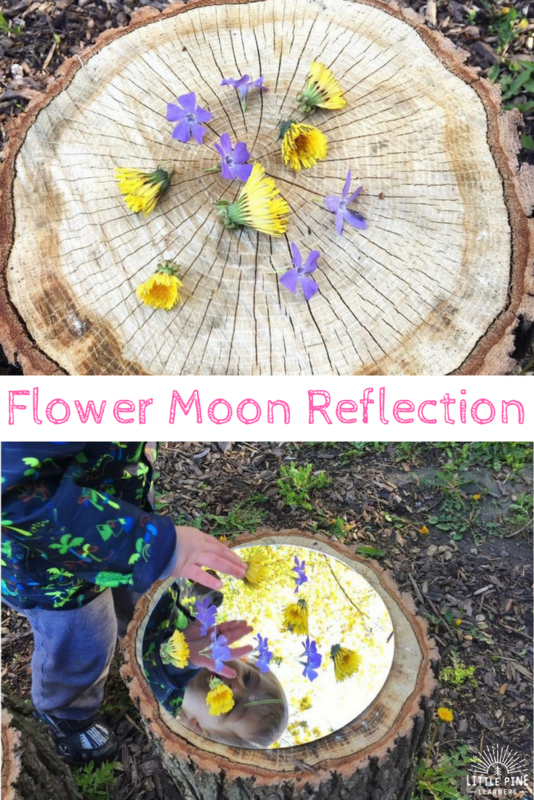 The boys had fun arranging the flowers in different ways to make “flower craters” on the moon. This was such a fun way to introduce new vocabulary to the boys! Our last activity turned out so beautiful! 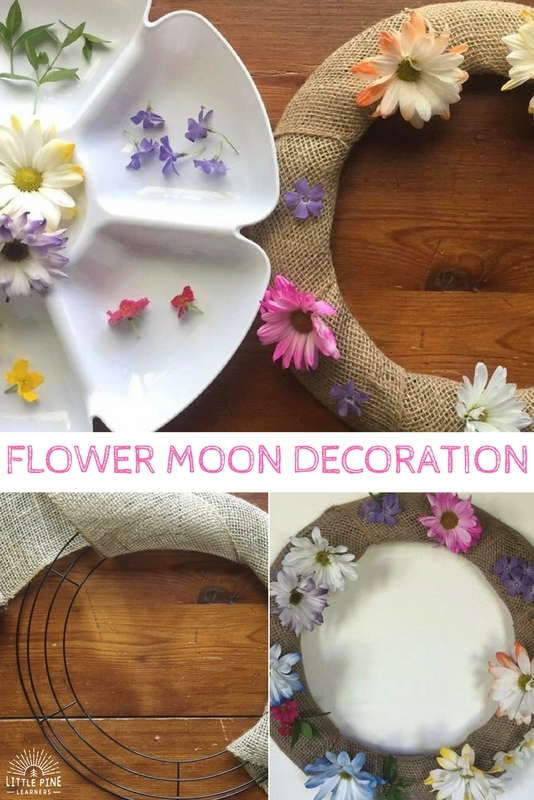 I wrapped a floral hoop with thick burlap ribbon and stapled a few spots to keep it in place. My boys helped me sort flowers and leaves in our bowl and then created their own floral arrangement on the hoop. 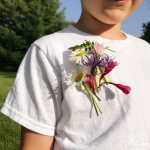 I had to find flowers with skinny stems so my boys could poke them through the burlap holes easily. This activity is great for working on hand eye coordination and fine motor skills. Our flower moon turned out so beautiful that I had to hang it on our wall. The flowers only lasted for a couple of days, but they were easy to remove and the burlap and hoop will be reused for more activities in the future! I hope you and your little nature lover enjoy these activities! Looking for more spring activities? Check out A Simple and Beautiful Nature Craft to Try Today!